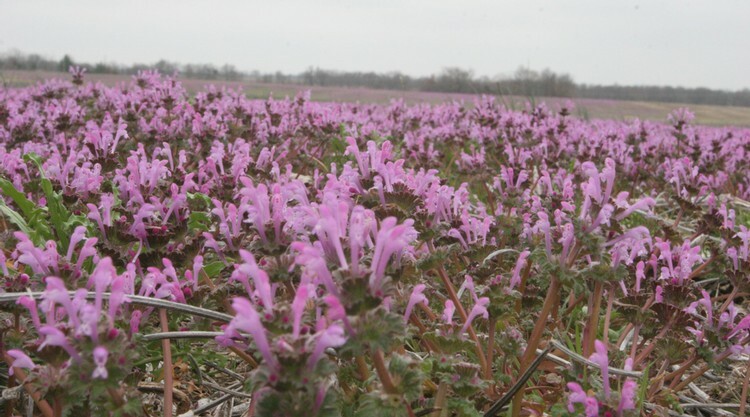 Winter annual with square stems and pink-purple flowers, reaching 16 inches in height. 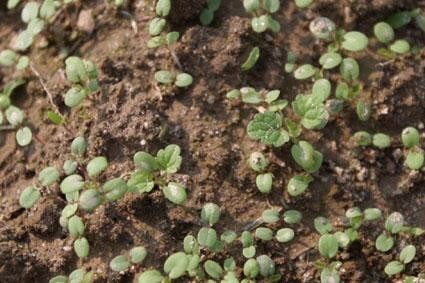 Primarily a weed of turfgrass, landscapes and small grains. Found throughout the United States but most common in the eastern states. 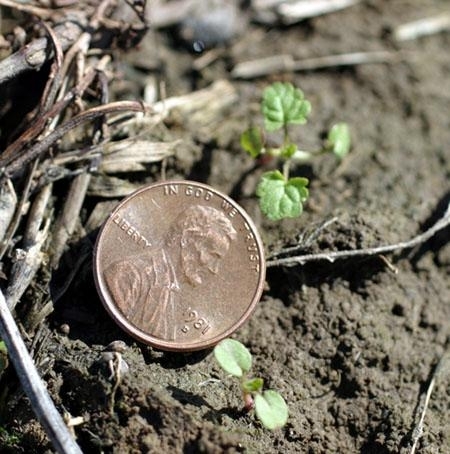 Cotyledons are oval, 3-12 mm long, 1-4 mm wide. 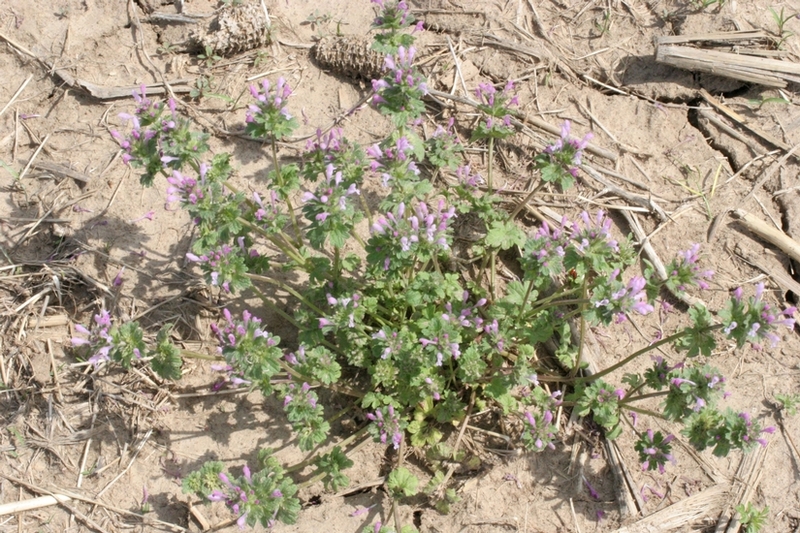 Stems below the cotyledons become purple with age. The base of the cotyledon is notched where it joins the petiole. 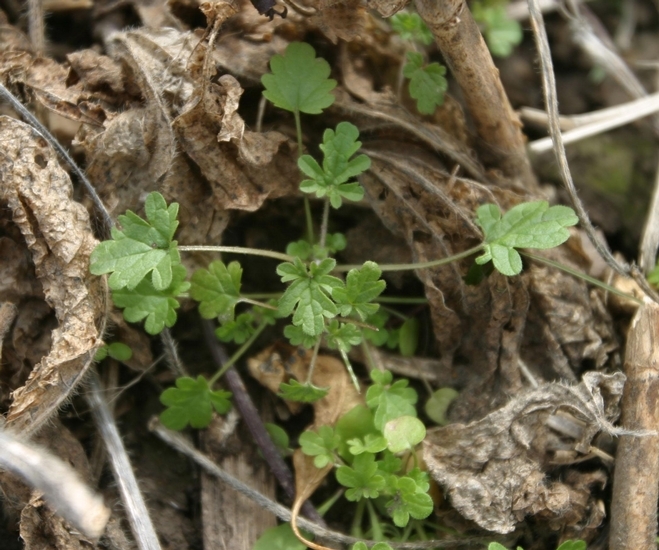 Young leaves occur on petioles, are circular to heart-shaped, opposite, and have distinctly crinkled upper surfaces. Hairs occur on the upper leaf surfaces and along the veins of the lower surface. 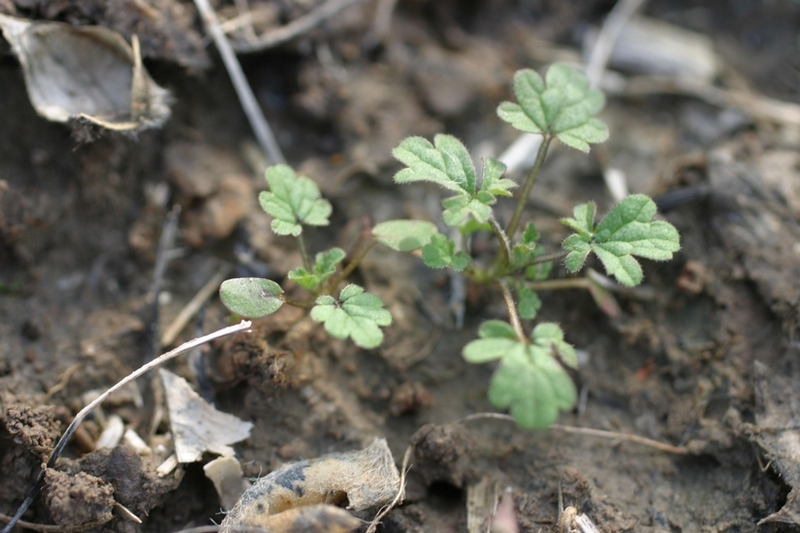 Opposite, reaching 5 inches in length, circular to heart-shaped, with hairs on the upper leaf surfaces and along the veins of the lower surface. Leaf margins have rounded teeth. Lower leaves occur on petioles, while the upper leaves are without petioles (sessile). Lie on the ground but have tips that are ascending (decumbent), green or often purple-tinged. Stems root at the lower nodes, are square in cross section and are covered with downward-pointing hairs. Occur in whorls in the upper leaves without petioles. 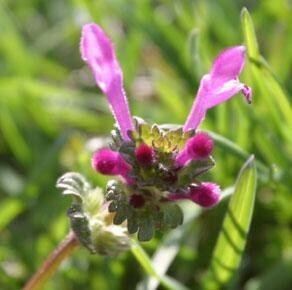 Flowers are pink to purple in color and are fused into a tube approximately 2/3 inch long. The fruit are egg-shaped nutlets reaching 2 mm in length and are brown with white spots. Square stems with petioled lower leaves and sessile upper leaves. 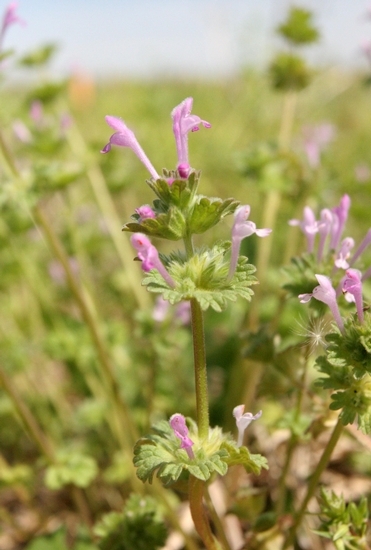 This weed is commonly confused with Purple Deadnettle (Lamium purpureum). 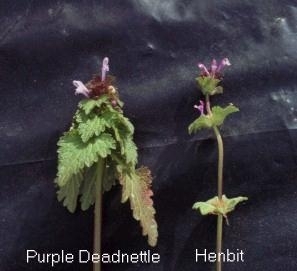 However, purple deadnettle has upper leaves that are triangular, occur on petioles, and are distinctly red or purple tinted, unlike the upper leaves of henbit.